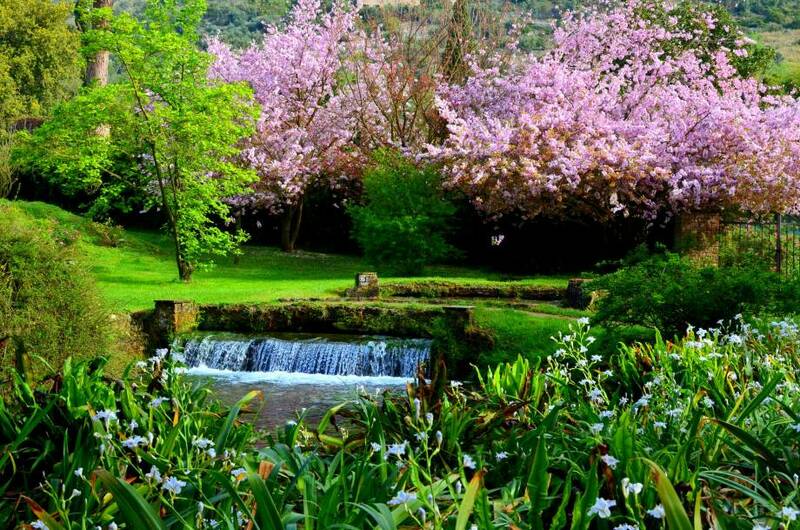 What better way to enjoy springtime in Italy than a stroll through one of its breathtaking gardens? Springtime is a great time to visit Italy. Visitors during the shoulder season save money on flights and accommodation and enjoy fewer crowds than the jam-packed summer months. Mild temperatures reign with hot days possible in the south as the spring season bursts into bloom throughout the entire peninsula. 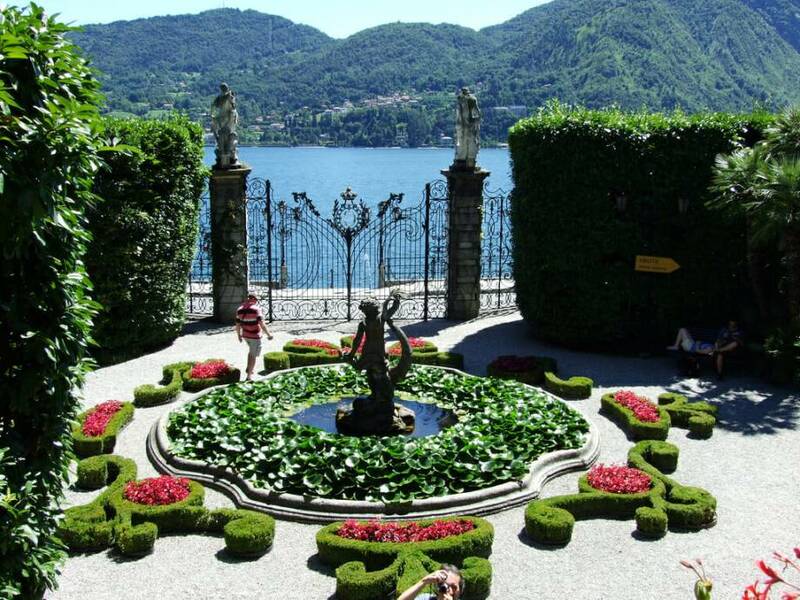 Two of the five Borromean Islands on Lake Maggiore, these two are most noted for their gorgeous gardens. Isola Bella, (literally, ‘beautiful island’ in English) is an Italian-style garden whereas Isola Madre (mother island) was created in the classic English style. Both were made to accompany the beautiful villa dominating the small islands. Huge amounts of soil were shipped over to Isola Bella in the 17th century to create the gardens. Today you can see statues, obelisks, staircases and an amphitheater in the terraced, not to mention the islands infamous peacocks! Isola Madre has served as an orchard, olive tree grove and a citrus grove. Today it’s a gorgeous botanical garden with long, green boulevards and hundreds of different plant and vegetable species. This 17th century Villa was built for a local nobleman, and though the opulent house is worth a visit, the real draw is the nearly 20 acres of gardens overlooking beautiful Lake Como. Tucked between the lake and the mountains, the botanic gardens are filled with a variety of camellias, azaleas, rhododendrons, tropical plants, and centuries-old Cedar trees. Though beautiful year-round, see the gardens turn into a veritable heaven-on-earth come spring. 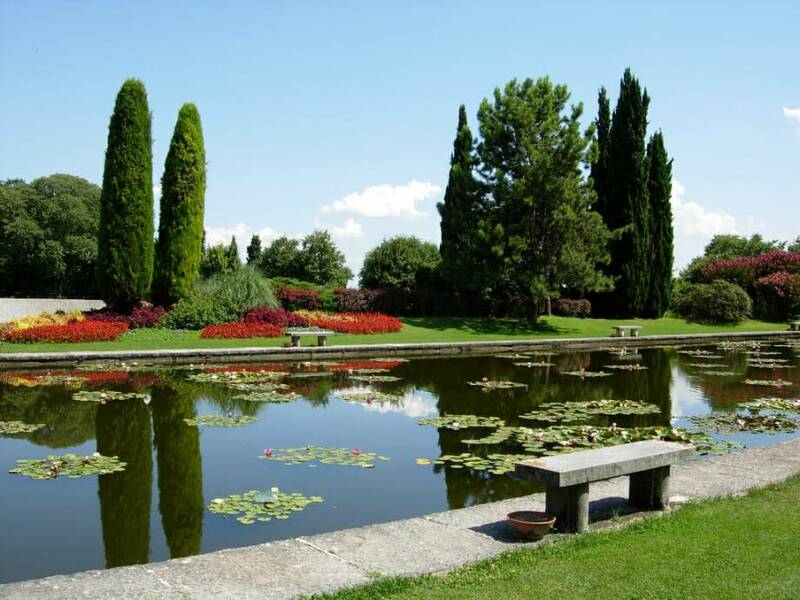 Located near massive Lake Garda, this park is enormous in its own right. In fact, it’s Italy’s largest garden! Covering nearly 60 hectares, the landscaped gardens feature a maze as well as a petting zoo with donkeys, goats, chickens and horses for children. Explore the park on foot or by bike to see the more than 1 million tulips in March and April and nearly 30,000 rose bushes that bloom come May. Behind Florence’s famed Palazzo Pitti is the city’s most celebrated garden: The Boboli Gardens and the Bardini Gardens inside. 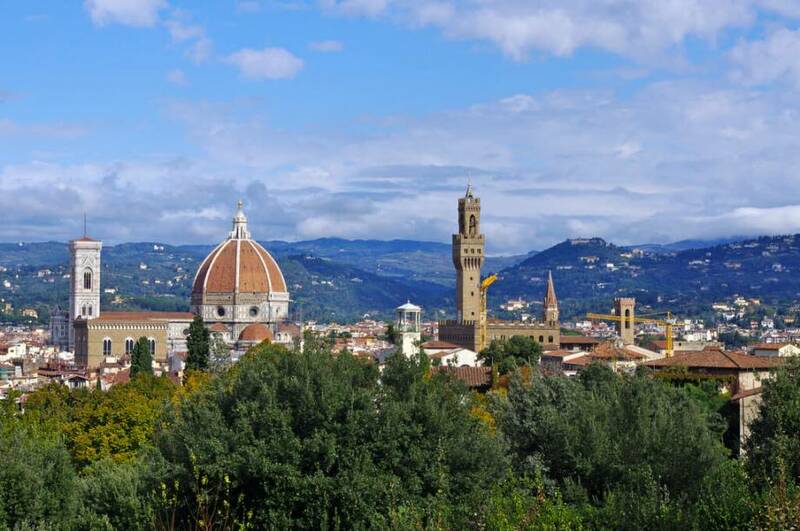 Covering 111 acres in the center of Florence, this huge park has plenty to explore, from ancient to modern statues, fountains, grottos and greenhouses. Take a break from sightseeing in the city with a relaxing stroll through these impressive gardens. Be sure to visit the Bardini Gardens as well (there is a ticket that allows you to visit both) for one of the best views of Florence you can find. 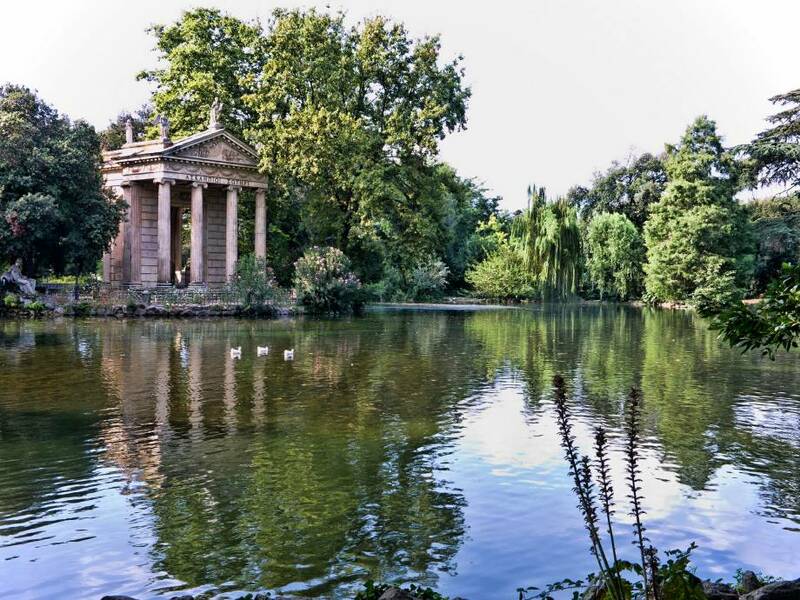 The Borghese Gardens are now a free public park open to all. Once a private garden for the Borghese Villa (now the Borghese Gallery), the Gardens span 148 acres, making them the third largest park in Rome. Though they are a priceless refuge from the Roman heat in summer, come in spring to enjoy this city oasis in full bloom and a pleasant temperature. Opposite the Circo Massimo lies the Roman Rose Garden, first created in the 1930’s and home to over 1000 varieties of roses. It’s an ideal setting for a romantic stroll, but hides a darker past: the area once formed part of Rome’s Jewish Ghetto, and housed the Jewish cemetery. Look closely and you’ll see that the footpaths form the shape of a menorah in a nod to the district’s past. Once a populous medieval town, Ninfa fell abandoned after economic struggles and a malaria outbreak. It sat mostly unused until the 1900s, when it was rediscovered and transformed into a botanic garden. Though you can only see the gardens at certain times and on a guided tour, it’s worth it to learn the history and soak in the atmosphere. Here you’ll find plants of all types among the town’s ruins. There’s even a castle! 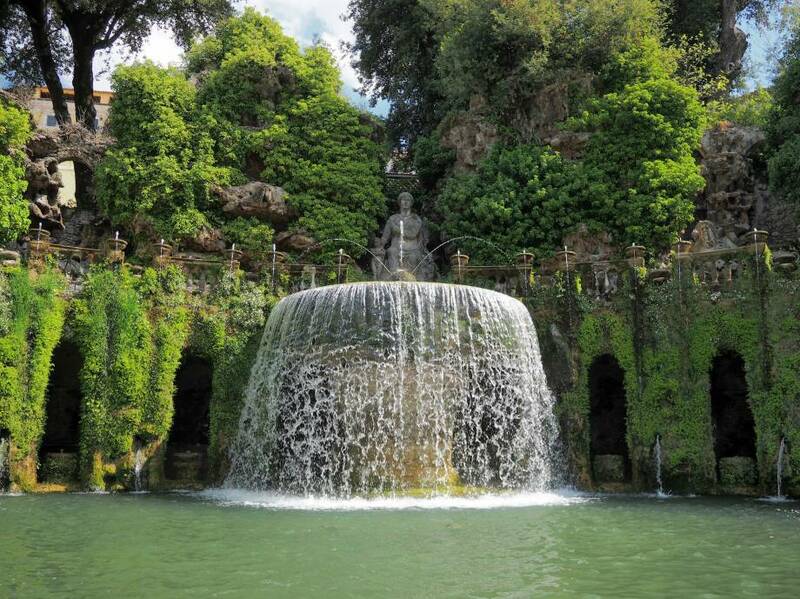 These Italian Renaissance gardens are perhaps some of the most famous gardens on the entire list. A UNESCO World Heritage Site in Tivoli, near Rome, they’re also considered some of the most beautiful gardens in all of Italy. Go to see the unique fountains that dot the gardens, including the large shell-shaped Fontana del Bicchierone, the Rometta Fountain with a wolf-suckling Romulus and Remus statue and the Avenue of the Hundred Fountains. Though few know of this 18th-century garden, the Baroque, Italian-style gardens are an incredible testament to the era’s attention to detail. 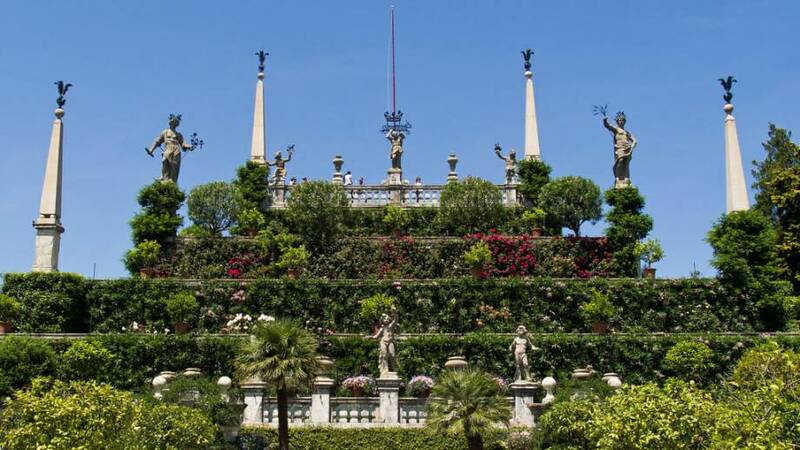 Perfectly preserved according to its original design, the Buonaccorsi Garden is laid out with perfectly symmetrical geometric patterns of diamond and star shapes. The garden is free to visit, so go to explore the grotto, the tiny lake and the super-romantic secret garden. Invented and created by Susana Walton, the Argentinian wife of British composer William Walton, these tropical gardens completely surround the couples home on the island of Ischia, in the Bay of Naples. Here you’ll find more than 3,000 species of exotic, tropical plants, vertical terraces of plants and enormous tropical waterlilies that fill the pond in front of “La Bocca”, a sculpture of a face with a water sprout out of its mouth. Though created relatively recently, in the 1950s, the gardens are a tropical paradise in the Mediterranean sea. The Amalfi Coast is filled with incredible vistas, but at Villa Rufolo you can enjoy the panorama in a gorgeous atmosphere as well. 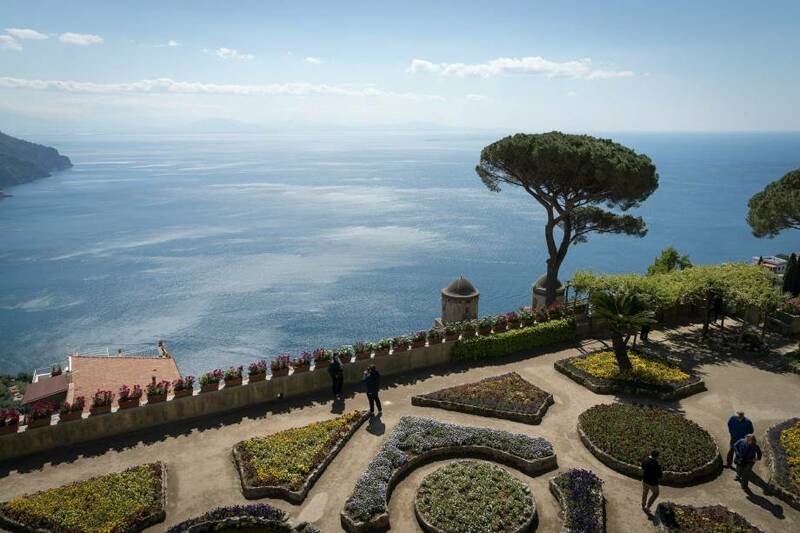 The 14th-century villa in Ravello is a masterpiece of medieval architecture, but its true draw comes from the flowers that cover nearly every centimeter of the property. Stroll under abundant wisteria arches while enjoying a view of the Mediterranean from on high. The name is apt for these botanic gardens: the highlight is the olive trees. Gnarled and ancient, these olive trees are a testament to the area’s agricultural history, but that’s not all you can see here. The sun-bleached dirt paths will take you past more than 2,000 species of plants, as well as obscure rock churches. 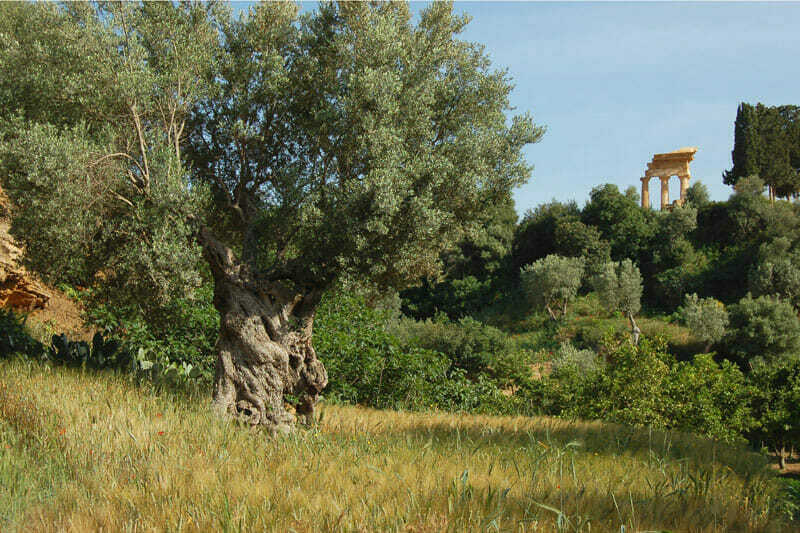 This botanical garden with a strange name is located in Agrigento’s Valley of the Temples. 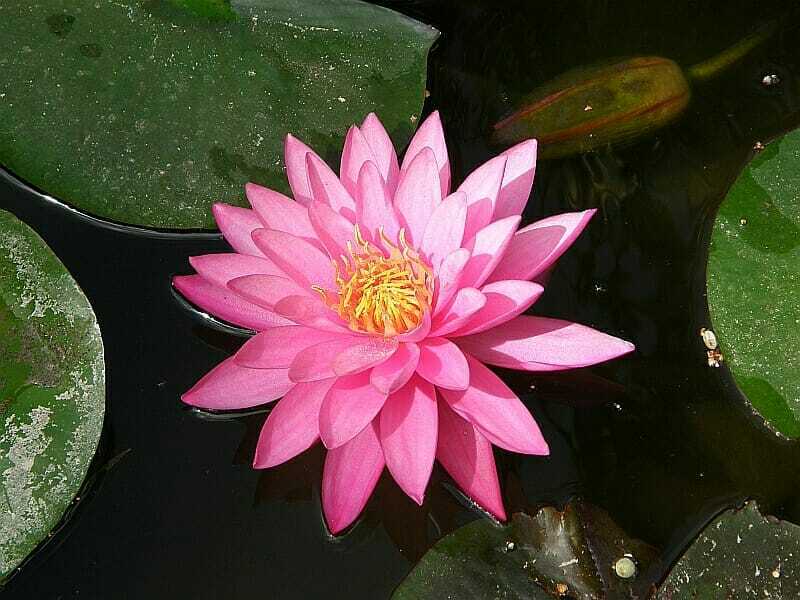 Dating back to ancient times when the garden was an important lake surrounded by beautiful plants and flowers and filled with fish. Despite this, it sat abandoned for centuries until 1999 when the Italian Environmental Foundation (FAI) took over, drawing out its former beauty with citrus trees, olive groves and tropical plants. Today it’s a verdant oasis beneath the ancient Greek temples.